The Dallas / Fort Worth Metroplex has no shortage of mega-churches or mega-church pastors. It’s been called The New Capital of Evangelicalism by Christianity Today. It’s not unheard for a mega-church to be across the street from another mega-church. There is also a history of at least one other Dallas pastor getting caught in a money scandal. Yesterday, I asked how much a pastor should make for his work, but today I want to look at another angle of the Ed Young saga. That is how the media portrayed him and another area mega-church pastor very differently this past week. 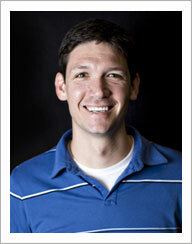 The other pastor is Matt Chandler from The Village Church. If you’re not familiar with Chandler, here’s a brief history. His church has grown rapidly in the past seven years that he has been the senior pastor. The average attendance when he began was around 150. Now they average around 6,000 each weekend and have three campuses. This past fall he was diagnosed with brain cancer and had surgery to remove a rapidly growing malignant brain tumor. The Associated Press ran a story last weekend that was very favorable to him. They pointed out that he drives a car that he affectionately calls his Dodge “Gimpalla” and has over 140,000 miles. They also were very gracious in their descriptions of his desire to “suffer well” for the glory of the cross of Jesus Christ. What struck me as I reflected on these two portrayals in the media was how Matt and Ed stand in juxtaposition to one another. One pastor is an over-the-top personality who’s known for elaborate sets, props, and creative communication in his preaching. The other is known for his simplicity (not to mention his self-described yelling at his church while preaching) in pointing people to the cross. They really are two very different personalities and have been portrayed as such by the media. These two stories were good reminders to me that the outside world is watching our actions and I need to make sure that I reflect Christ in everything I say and do. What’s your take on these two stories in the media? Share your response in the comments. Speaking about his "purpose driven" success, in 2005 Warren told U.S. News and World Report, "It brought in a ton of money. The first thing we decided was that we wouldn't let it change our lifestyle one bit." Even after achieving notoriety and great prosperity, Warren and his family continued to live in the same home and drive the same vehicle. He said, "Next, I stopped taking a salary from the church. Then I added up all the church had paid me in the previous 25 years and I gave it back." Living on only 10% of their income, he and his wife began to give away the rest in a type of "reverse tithing" principle. Good point. Rick has definitely seen his share of media attention, but he’s been pretty transparent about his finances. I thought about including him in this post, but I decided to focus on Dallas area churches. Wasn't very convincing of a man living humbly! Did you watch the whole video? I haven't yet. It’s so easy to judge here and say because Ed is successful and wealthy that he’s doing it by dishonest means, and that Matt because he’s very humble and lives simply that one’s the ‘good guy’ and one’s the ‘bad guy’. That’s just not true. I’ve known Matt Chandler since 1998, I went to college with him and Hardin-Simmons University, and that’s just the way he rolls. I’ve known Ed Young since 2001, he’s a great guy that wants to reach what he sees as a very materialistic and entertainment-driven city(which Dallas/Ft Worth is) where they are. The ‘poverty’ doctrine was never part of Jesus’ teachings or lifestyle. Jesus was a 1st century Rabbi, and by Jewish law, to be a Rabbi in those days meant having enough money to take on the burdens of an entire community, or you were not given the title. He had a treasurer! Read the Gospel accounts in John, Judas regularly stole from the treasury as the treasurer! What person who has two nickels barely to rub together wouldn’t notice if someone stole from the ‘treasury’? Christians need to get over this way of thinking and look at the man and how he treats the people around him: his staff, people at his congregation, and maybe even more important those who serve him(yes, even waiters! You can tell alot from how someone treats a waiter!) If Ed is not treating people right, then God will pull his ministry’s success from him, and people will leave. If not, then we all need to quit listening to the investigative reporter(who, by the way, has done several negative stories against Christian leaders in Dallas in the last few years) and give the man his due for what he’s done. Also, Matt’s church is about 1/4th of the estimated size of Ed’s congregation, so it’s really an apples/oranges comparison. The media likes to pinhole people….Matt Chandler is far more than a humble ‘golly jee’ guy with an unfortunate situation, and Ed Young is more than a flashy, slick TV personality. I really hope people will not be fast to judge and realize that God knows all and will take care of his people regardless. Thanks for the feedback. I agree with you that Ed’s not a bad guy. I’ve read one of his books and listened to quite a few of his podcasts. He’s a sharp guy and has a lot to offer churches. You make some good insights into Jesus’ style of ministry, too. I hope you’ll comment again on a future post! You need to study your Bible and the times in which Jesus lived to see that he wasn’t rich and that no Rabbi had to be wealthy. That he had a treasurer, meant nothing– if Jesus had a lot of money Judas wouldn’t have sold him for thirty pieces of silver- the price of a slave. Please go Amazon.com and get a copy of my book, Prosperity or Greed, to learn what the Bible says about prosperity. This isn’t to get you to buy my book– I make no money off it. I really want you to learn. With all due respect to the writer, Ed Young IS NOT a “good guy” and he IS NOT “leading his church properly”. Ed Young is a master manipulator and false teacher. And the evidence is clearly provided in publicly available video where he is preaching on “tithing”. Now after you watch that and you still say he’s a “good guy”, then I would most assuredly be convinced that you are an illicit drug user. I am still confused are the two Edwin young’s one in the same? I am still cnfused are the Ed young’ one in the same? I did not see one mention of “not coming back” to the church…but he did mention that the issue is between you and God. Does it really seem fair that we constantly beat up pastors due to one or two sermons (or even worse 4-6 minutes OF a 45 minute sermon) and forget their overall work? When we get to heaven, these men will be responsible for millions that we see when we get there…and I think keeping our eye on the ball is more important than tearing down an individual. Personally speaking…I have run into more people that have a problem with “my church” (and yes, it’s a MEGA also) based upon rumors or plain and simple misconstrued comments than ANYONE that has ever had the facts correct. The biggest issue, most have never been to the campus. I think it’s important for us all to know NYTN…what PERSONAL attack did Pastor Young do to you, in what way did he hurt you or your family? Because what I saw, and what I have watched…this is a “non-denominational” pastor that is a BAPTIST just like his daddy. I have never ONCE seen him preach something unbiblical, it just seems to me that when people get slapped in the face for something they are doing (or perhaps not doing like tithing right?!?) they attack…instead of accepting their shortcomings and attempting to change. I would also ask that you remove the POST by NYTN, I clicked on his/her account and due to MULTIPLE violations of the YouTube policies, that person has been removed by the corporation. If you dig a little deeper on the issue, you will see a very vindictive poster that simply stirs the pot and so far 100% of the time I have located the posts, they have been removed.